MiniMed infusion sets include slender plastic tubing that delivers insulin from the pump and into the body. The tubing is available in different lengths to accommodate the requirements of the person with diabetes. At the end of the tubing, there is a stainless steel needle or a flexible, tapered tube called a cannula. The small cannula is inserted under the skin at the infusion site. This can be in a person’s buttocks, abdomen or thigh. When the infusion is set, it stays in place for up to three days. People using MiniMed Infusion Sets still need to check their blood glucose levels throughout the day. Major advantages of using an infusion set include a more flexible lifestyle, predictable and precise insulin delivery, and improved blood glucose control. 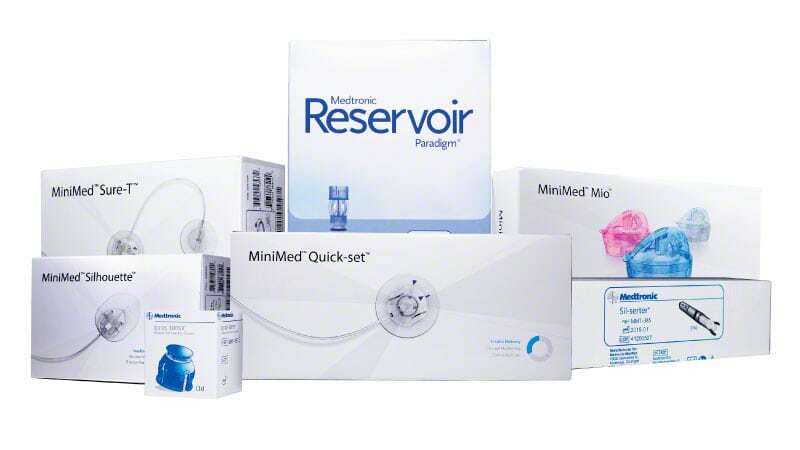 The most popular model from Medtronic is the MiniMed Quick Set. Ease of use is the major reason for its popularity. It has a soft cannula to ensure the highest level of comfort. Additionally, the specially designed Medtronic MiniMed Quick-serter makes it simpler and faster to insert the cannula under the skin for proper placement. This handy device ensures comfortable insertions with less pain. Plus, the insertion depth is consistent every time for the best possible insulin absorption. Users also find using this device makes it easy to insert the cannula into infusion sites that are tough to reach. Four tubing lengths are available to make this set suitable for most users. Tubing is available in 23″, 32″ and 43″ lengths (18″ is available with the 6mm cannula). The two cannula lengths include a 6mm for slim individuals and 9mm for everyone else. For slender people and those who have an active lifestyle, often prefer the MiniMed Silhouette. It can be inserted at various angles for users who are on-the-go. It is also convenient for people with a lean physique. The user can select his or her insertion angle for optimum flexibility and comfort. A 17 mm cannula is available with tubing lengths that include 23″, 32″, and 43″ while the 13 mm cannula includes these lengths as well as 18″. The MiniMed Sil-serter used with the MiniMed Silhouette makes it a breeze to insert the infusion set with the quick press of a button. This makes insertions more comfortable with a predictable insert depth to maximize insulin absorption. Users also find this device makes insertions easier in awkward infusion sites. Some users prefer using a needle to infuse insulin instead of using a cannula. The Medtronic MiniMed Sure-T is specially designed for these users. 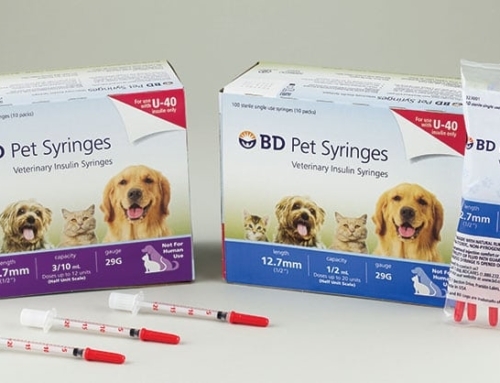 This steel needle set features a more secure connection through the use of an extra adhesive pad. The fine 29 gauge needle is simple to use. This infusion set is an excellent option for women during pregnancy, infants, children, and adults. The 10 mm cannula is available in 32″ tubing while the 8mm is available in 23″ and 32″ lengths and the 6mm comes in 18″, 23″, and 32″ lengths. 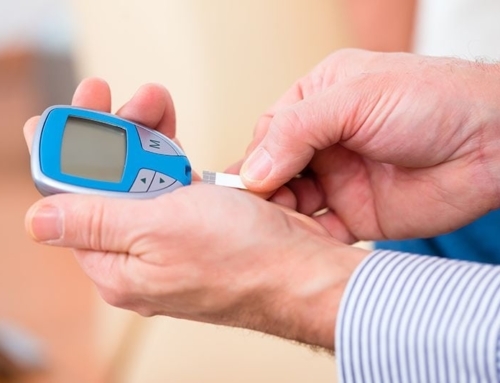 Convenience is a key factor for many people with diabetes. The MiniMed Mio set helps to eliminate hassles and confusion with a savvy all-in-one design. It combines the infusion set with the insertion device into just a single unit. Most of the Mio infusion sets are available with a 6mm needle with tubing lengths of 18”, 23”, and 32”. There is also one 9mm model that comes with 32” tubing. The 90-degree, soft cannula infusion set is also available in an appealing array of colors, coming in Pink, Blue, and Clear. 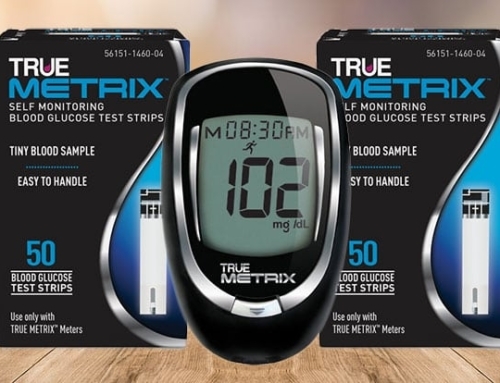 Another set will soon become available to give people with diabetes more options. Medtronic is partnering with BD to create the cutting edge MiniMed Pro-set. It will feature BD FlowSmart technology to help with insulin flow. MiniMed pump supplies are constantly being improved to help people with diabetes maintain better blood glucose control and have a more carefree lifestyle. Suspend before low option which avoids lows and rebound highs. Speak with your physician to see if the Minimed 670g system with CGM is the best choice for managing your diabetes. For more than three decades, Medtronic has been helping people with diabetes. 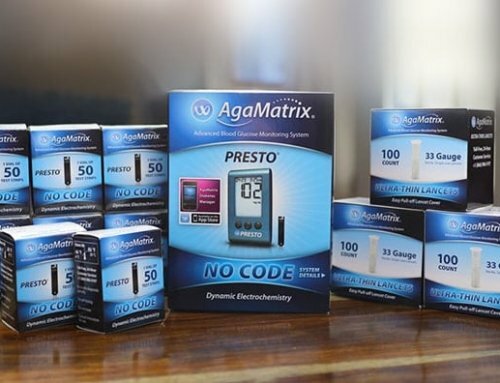 The company works with the global diabetes community to change the way people are managing their diabetes. Medtronic’s goals are to transform diabetes care through greater access, integrated care, and the best possible outcomes. This will make it possible for people with diabetes to enjoy optimum health with more freedom. Medtronic operates three global business units to serve customers around the world. The Intensive Insulin Management Business Unit serves the needs of those with type 1 diabetes as well as people with type 2 diabetes who use intensive insulin regimens. The Non-Intensive Diabetes Therapies Business Unit addresses the needs of those with type 2 diabetes and focuses on solutions with the diabetes care continuum. The Diabetes Service and Solutions Business Unit works to improve the customer experience and optimize clinical outcomes. Contact ADW to find out more about Medtronic MiniMed supplies, including infusion sets designed for all types of people with diabetes. You voted 5, 1 min ago. Can I get these though my health insurance? We do accept most insurances. To find out if you’re covered please fill out this form: Insurance Form and someone will contact you within 2 business days. If you need further assistance please contact our customer service team anytime Monday through Friday, 9am – 5pm EST at 1-877-241-9002 and they would be more than happy to help you out.